There are so many talented up-and-comers right now that it can be overwhelming to keep track of every single new release on the calendar. WYO Chi is in the process of blowing up online, releasing his debut project today to officially make an impact on the rap game. The 14-year-old Philadelphia native is extremely young but he's already showing flashes of major potential, outperforming people twice his age. Freshman will serve as an initiation of sorts for newcomers to WYO Chi's music and you will likely not be disappointed. The melodic teenager enlists YBN Almighty Jay and Yo Ken for his debut project, dazzling the brightest on tracks like "Shine" and "Spaceship." 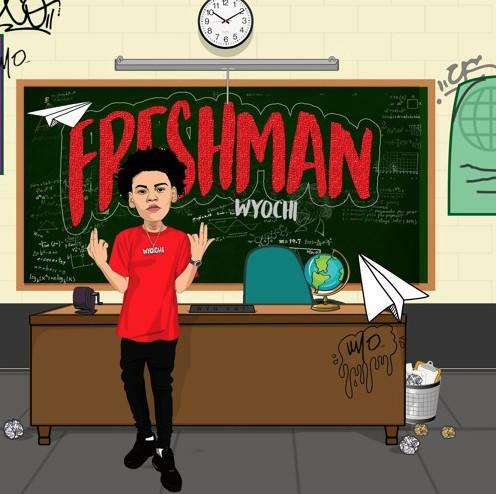 If you're unfamiliar with WYO Chi's style, check out Freshman and let us know your first impressions.